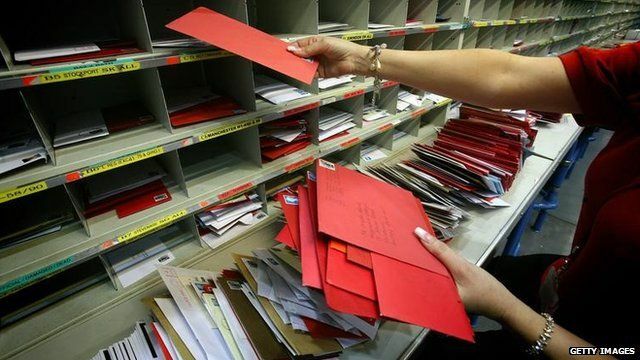 'It's twice as busy at Christmas' Jump to media player This week will the busiest of the year for Royal Mail, as the last posting dates for Christmas cards, letters and parcels approach. 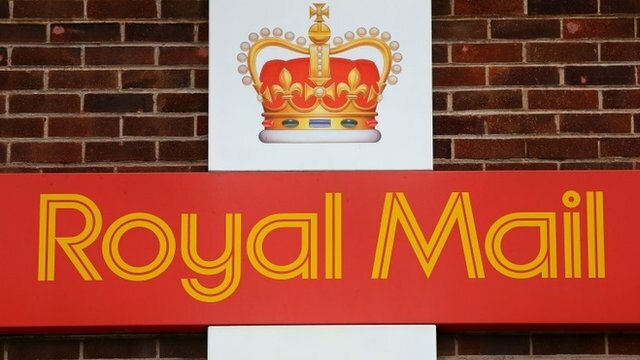 Royal Mail reports jump in profits Jump to media player Royal Mail has seen half-year profits rise, driven by higher revenue from its parcel business, in its first results since its partial privatisation. Emma Simpson reports. Ministers deny undervaluing Royal Mail Jump to media player Shares in Royal Mail have risen again as the newly privatised company announced half year pre-tax profits of £233m. 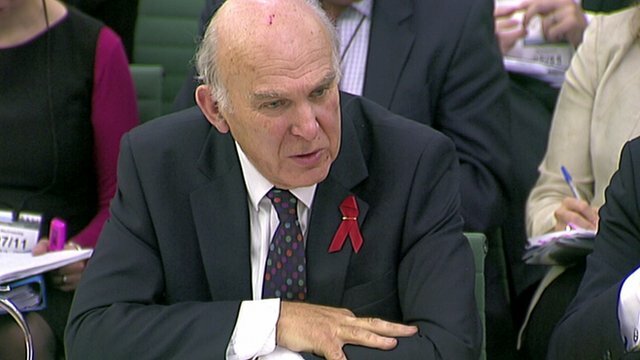 Cable questioned on Royal Mail shares Jump to media player The Business Secretary, Vince Cable, has told MPs that the share price for the sale of Royal Mail was designed to ensure long-term investors were not scared off. 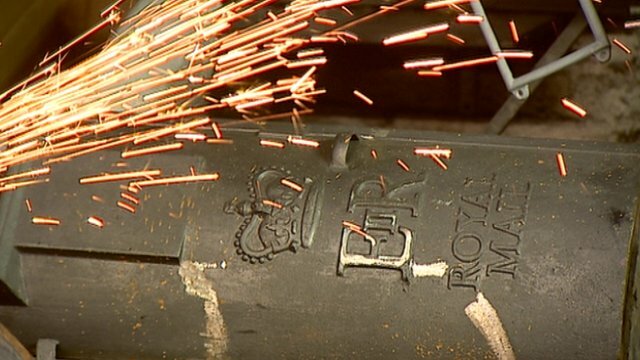 Post box firm's fear for the future Jump to media player Manufacturers of cast iron Royal Mail post boxes say they have no orders on their books for the first time ever. UK Mail boss on jump in profits Jump to media player UK Mail chief executive Guy Buswell talks about his firm's jump in profits and the newly-privatised Royal Mail. 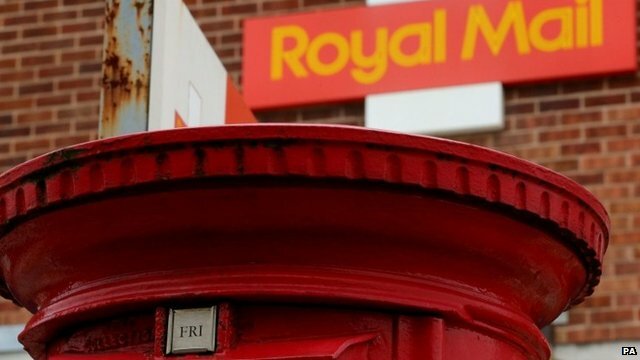 Fresh row over Royal Mail shares Jump to media player The government ignored two banks that valued Royal Mail at £5 billion, far more than the shares were sold for, according to the Financial Times. 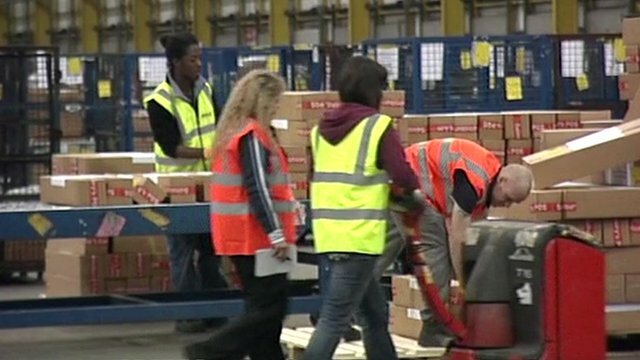 Royal Mail is facing its first real challenge since privatisation, as Christmas approaches. Staff at one sorting centre are in high spirits despite their workload vastly increasing as they deal with cards, letters and parcels. 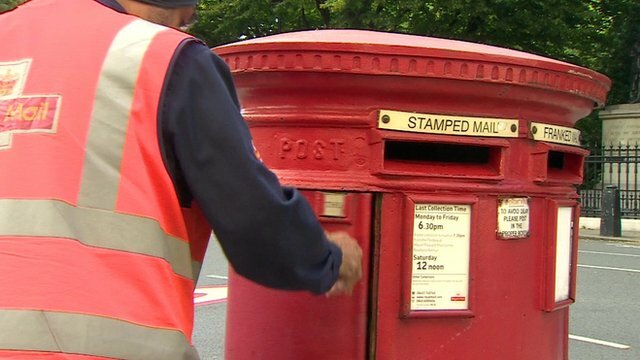 A recent deal between Royal Mail and workers unions secured a 9% pay rise for postal workers over three years.